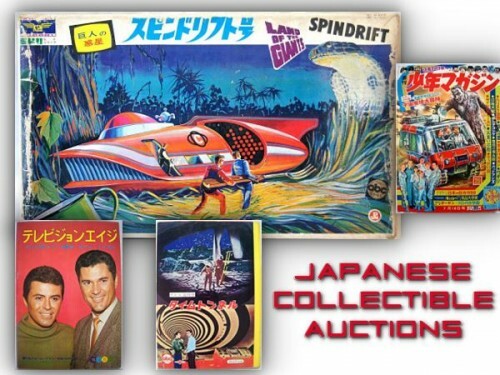 Our friends in Japan have an exciting range of new Irwin Allen collectible auctions on Ebay which end in the early hours of Sunday 5th January 2014 (GMT). 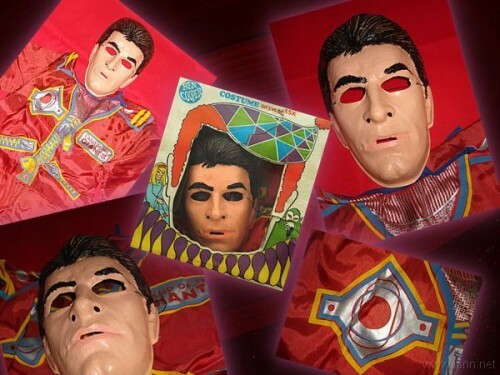 Click here or on the above image to see the items being auctioned. 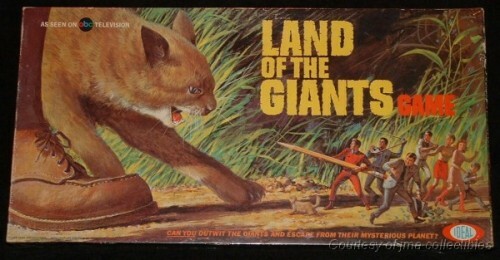 Amongst the harder to find Land of the Giants collectibles are the Ben Cooper Halloween Costumes. 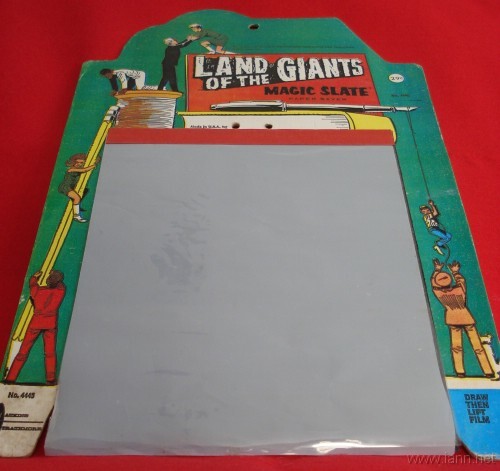 Below is the Land of the Giants Steve Burton Halloween Costume. 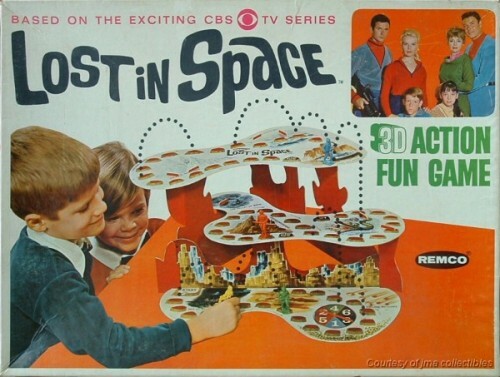 Another hard to find Lost in Space collectible is the Lost in Space 3D Action Fun Game from Remco produced in 1966. 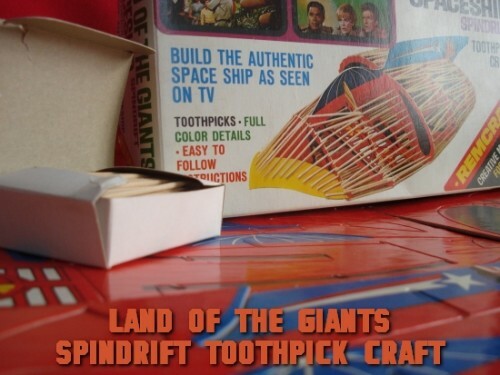 The 3D game is built up from layered card and supports with a spinner dial, and includes 4 space men in red, blue, yellow and white. 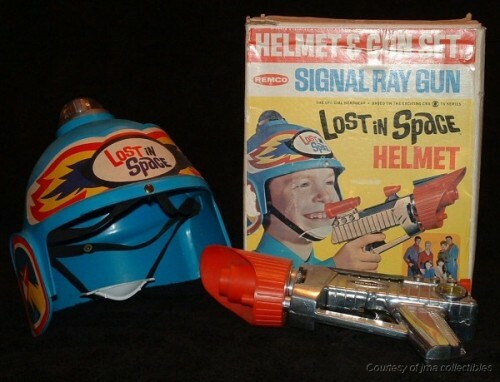 The Remco Lost in Space Helmet and Signal Ray Gun Set is one of the rarer Lost in Space Collectibles to find. 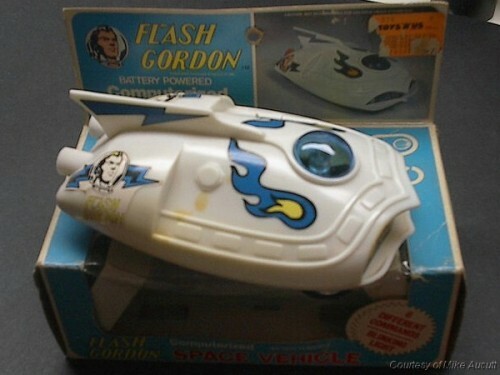 It was comprised of a blue plastic children’s helmet plus a silver and red plastic “signal ray gun” toy. 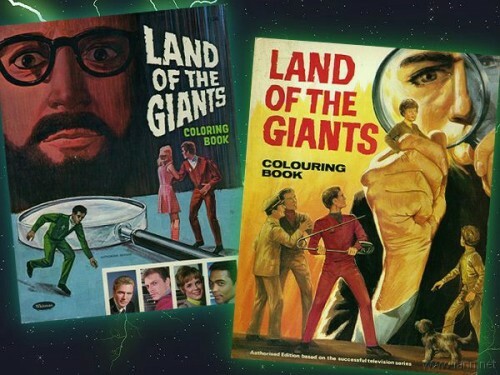 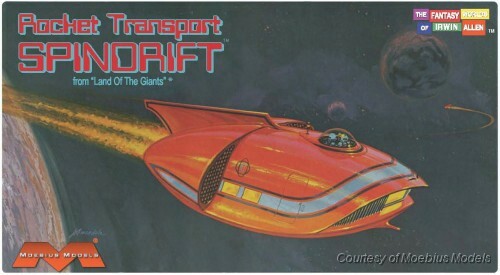 Visit the Land of the Giants collectibles section to compare the ray gun with the Land of the Giants Signal-Ray Space Gun toy.